The old Italian foods are my comfort food. Gnocchi is one of them. 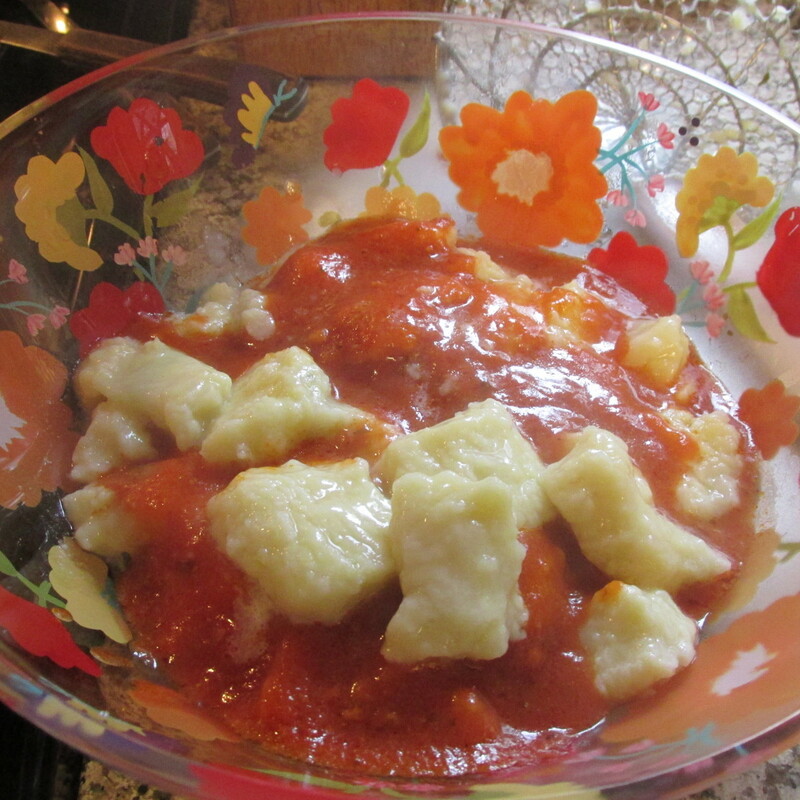 I have already posted gnocchi made with ricotta cheese. My sister, Christine, gave me that recipe. This is the potato gnocchi the way my nona (grandmother) made them. I got a lot of recipes from her, and I'm sorry I didn't sit and watch her make gnocchi. So I got a recipe from an old Italian cookbook from the Italian restaurant in Little Italy, New York called Ferrara's. I'm pretty sure the recipe is the same as my nona's recipe. So I made them and thought people should know there are two ways to make gnocchi. 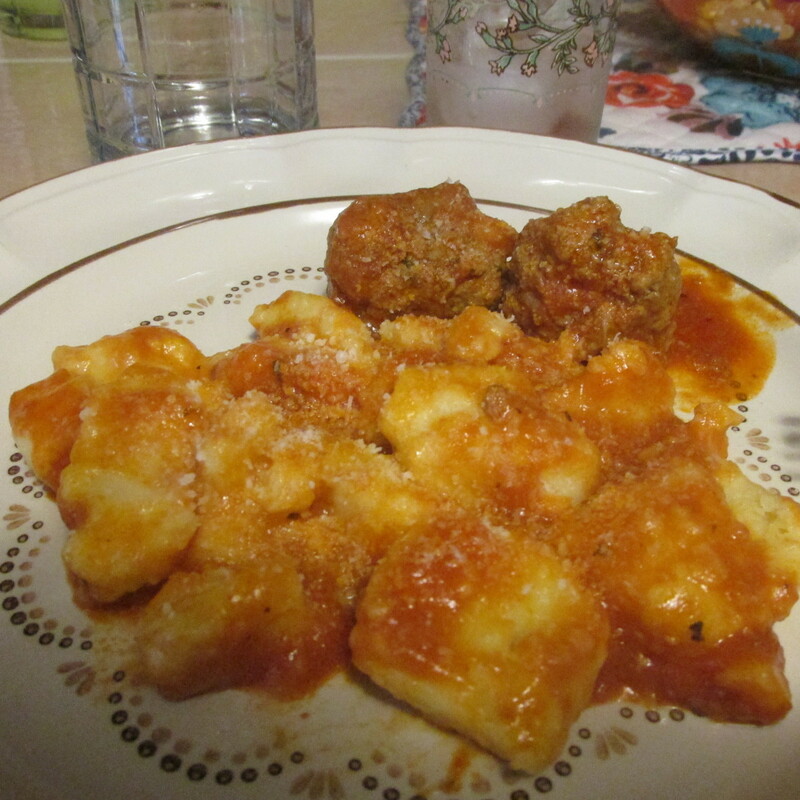 My 11-year-old granddaughter, who is a fussy eater, loved these gnocchi. She even had two helpings. My husband is from an Italian family but more specifically Sicily, and my mother-in-law wasn't familiar with the same foods that my family was familiar with, so he didn't grow up eating gnocchi, cappaletti, ravioli and other dishes I thought were typical Italian dishes. But he even enjoyed eating these potato gnocchi. 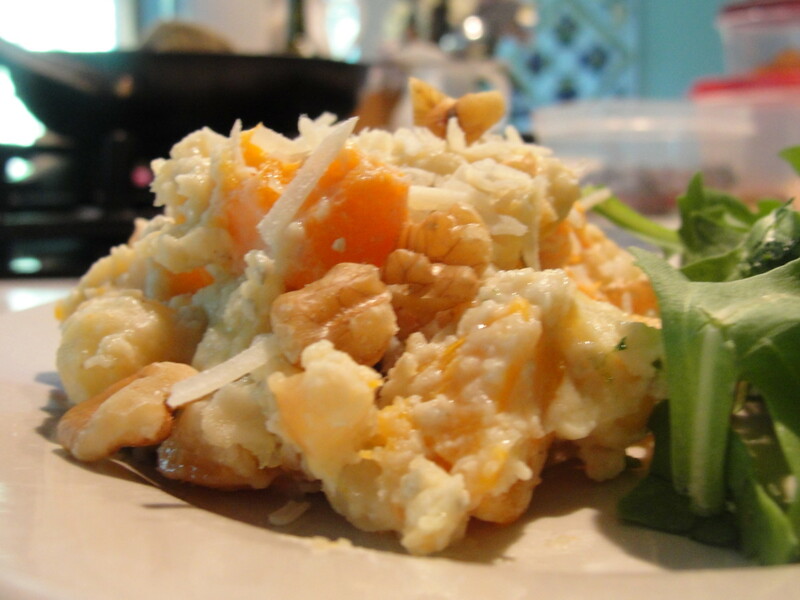 So try these out and see which one you like best; the ricotta cheese or the potato gnocchi. I love both of them. 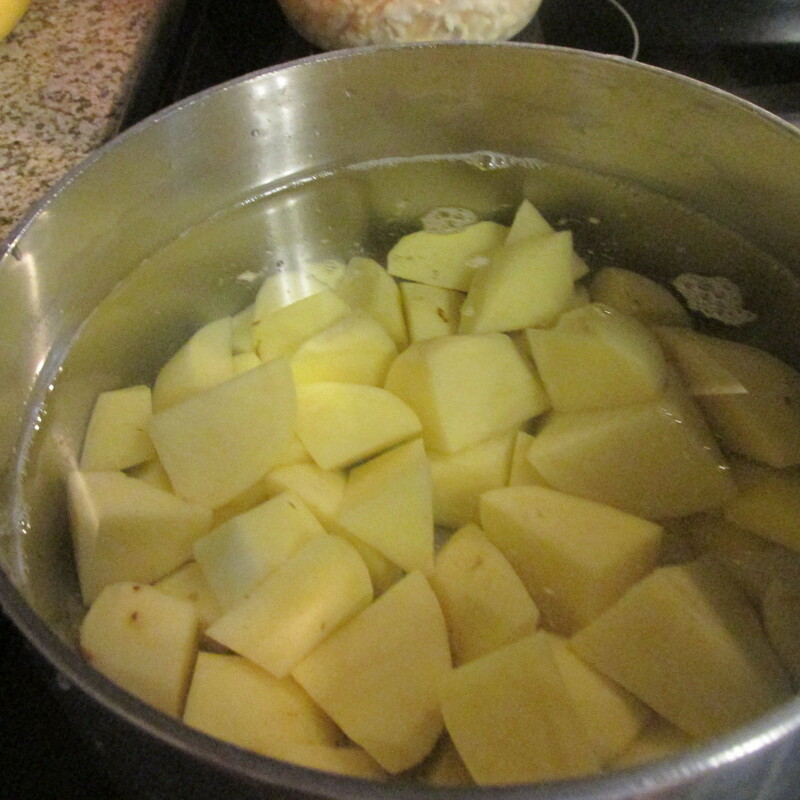 Peel potatoes, boil until tender and drain well. Put through a potatoe ricer or beat with a mixer until very smooth. Mix in beaten egg yolks, butter and salt. Add flour gradually and work into a smooth, manageable dough. 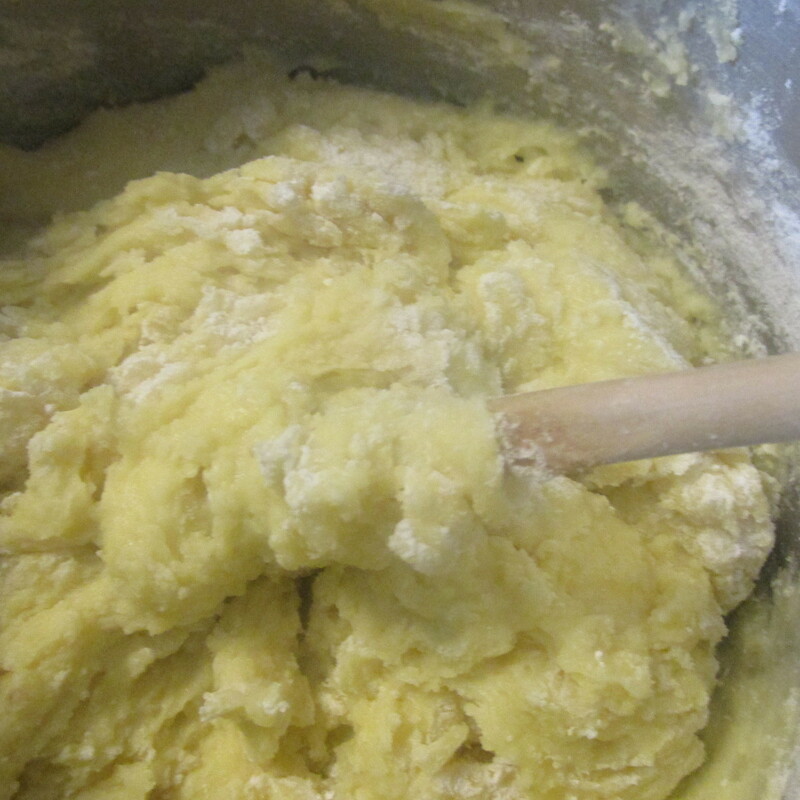 The mixture should hold its shape and be pliable but not sticky. Bread the dough into sections, flour your hands and roll between your plams into a 3/4" thick rope into lengths. 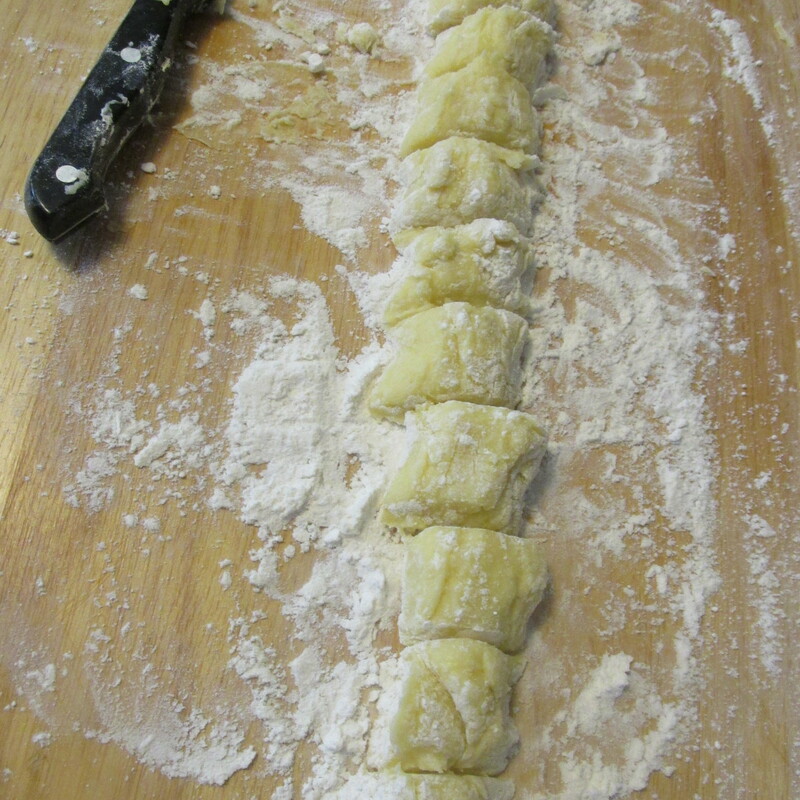 Set aside on a lighly floured board and cut the gnocchi into 1 inch pieces. The gnocchi could be cooked immediately or frozen for later use. Instructions for freezing and cooking are below. 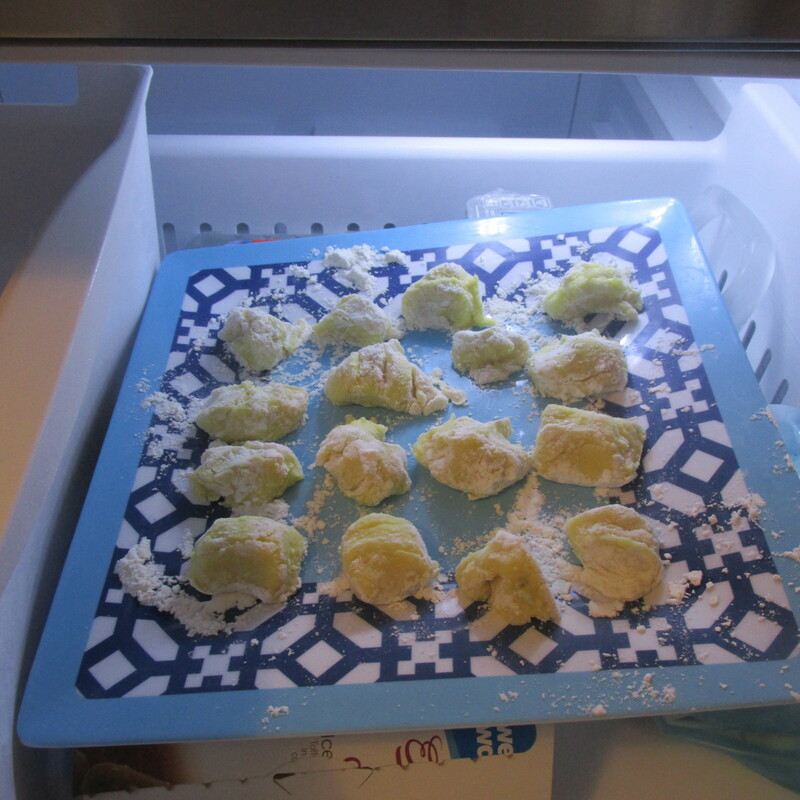 To freeze the gnocchi place the cut dumplings on a floured cookie sheet keeping them separate and flash freeze them until they are frozen. Then place them frozen in a freezer bag and then store in the freezer; as shown below. 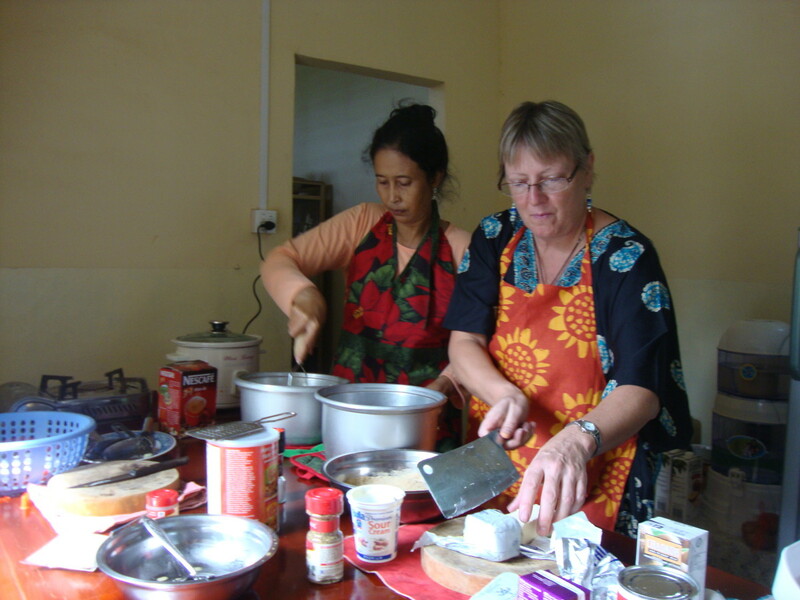 To cook bring a pot of water to boil and add about a tablespoon of salt to the water. 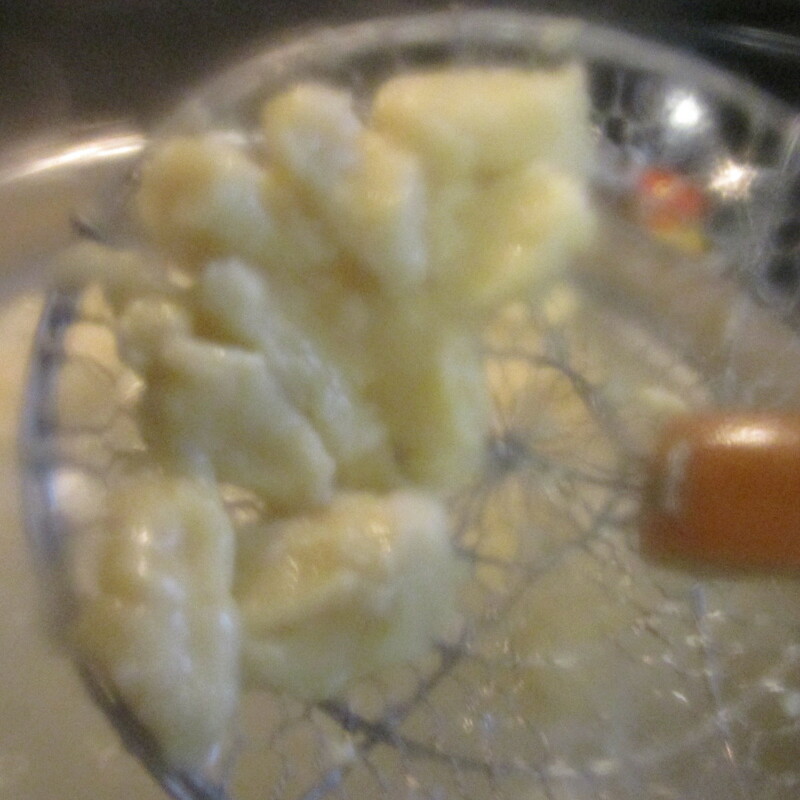 Place the frozen gnocchi in the water and stir very gently bring the water to a slower boil. Don't stir again until you see them pop to the top of the water then remove the popped up gnocchi with a slotted spoon and place in a bowl with your favorite sauce on the bottom of the bowl. Spoon them out as they pop up and layer them with sauce in between. Just enough sauce to cover them, not drown them. If you cook them fresh do it right after you make them and cook the same way being very gentle with them as they cook. Leftover mashed potatoes will not work. Potatoes must be freshly cooked and slightly warm. 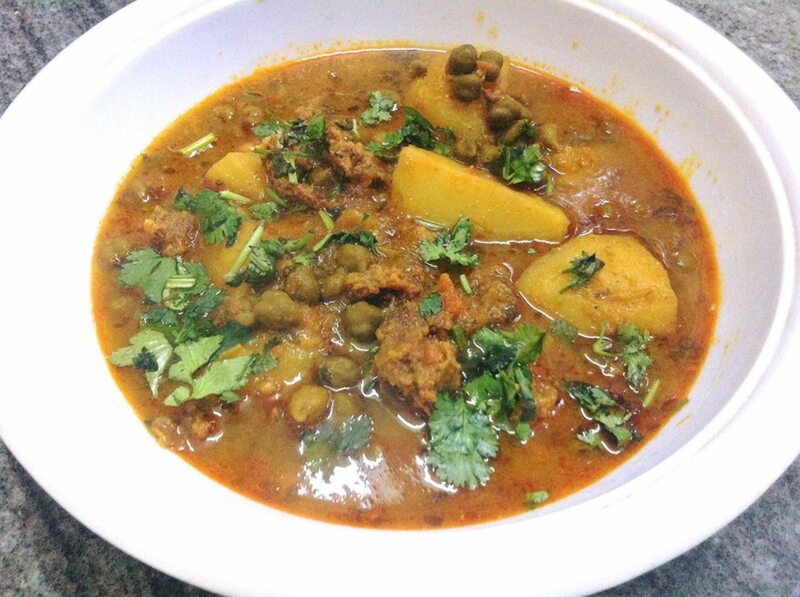 The exact amount of flour needed in this dish is difficult to gauge, it depends on the moisture of the potatoes. If you do use a bit more or less the recipe will still work. 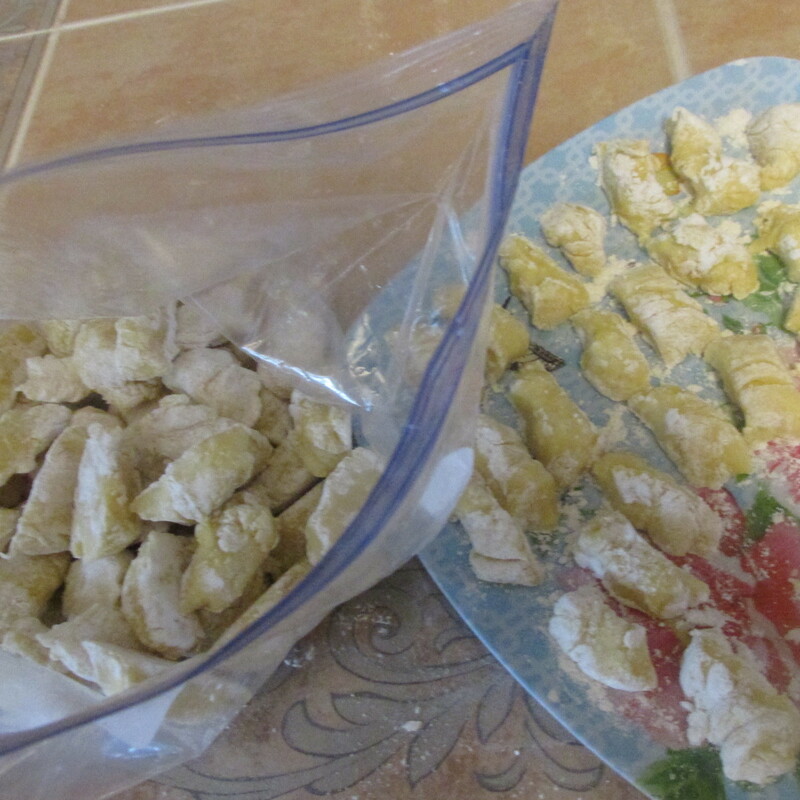 I noticed that if I erred on the side of less the gnocchi were much lighter when eaten. A heavy gnocchi will not be easy to digest. If you don't like meatballs and tomato sauce you can serve these with a light butter sauce and a little grating cheese. Still delicious! Pictures of Cooking and Serving Gnocchi. I made this today Rachel and it turned out so good, which did surprise me. I mean I know yours would be good but I thought I would have to try it a few times but it was simple, the dumplings floated in seconds and I did great! I even froze 35! I do make a mean pasta sauce already so now I am ready to impress company with this! Thank you again, so much! Hi Mary, So nice to see your face again. Thank you for the visit and nice comment. I appreciate it. 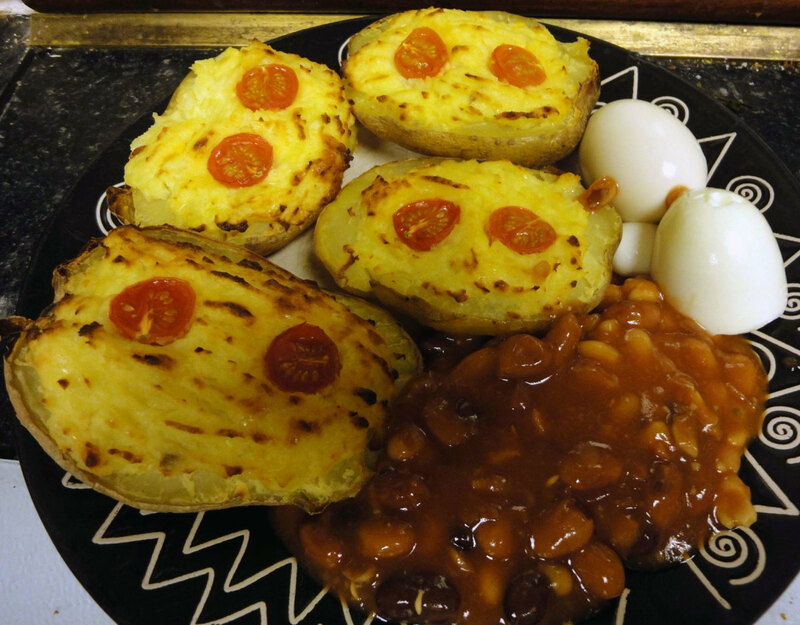 Looks really delicious and once again, the pictures make the recipe easy to follow. Hi Linda, thank you for your visit and encouraging comment. I hope you like gnocci. I've never eaten gnocchi, but after reading this article I think I should try it. 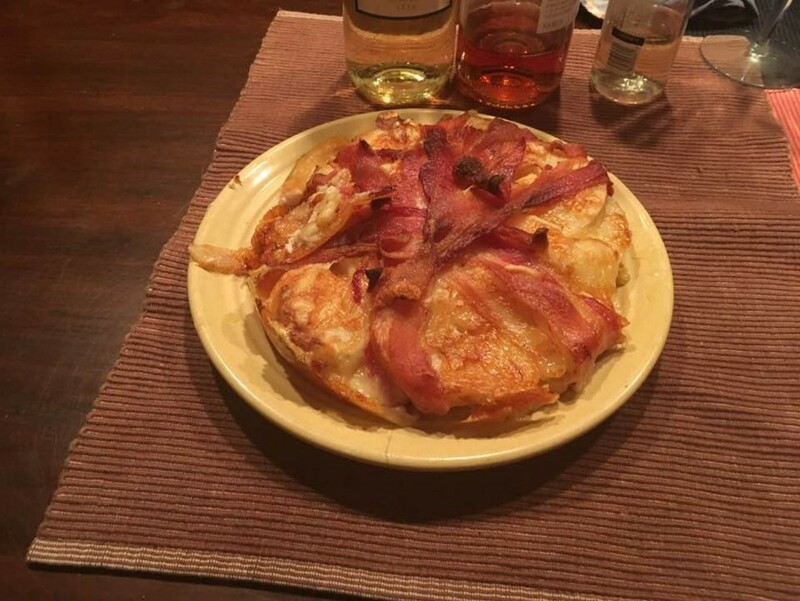 Thanks once again for sharing an interesting recipe, Rachel. 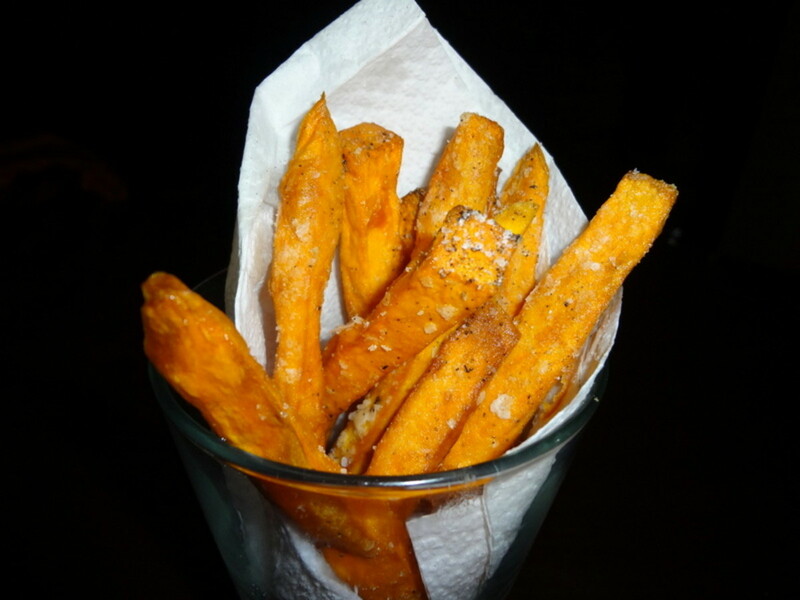 Hi Pamela, thanks for sharing your thoughts on my recipe. I do try to take pictures along the way that would help. I'm sure you can make gnocchi for sure. Hi Donna, Some people do use a tool but I like the rugged look, lol as you can tell. I'm not an artist, but they taste good just the same. You can do this for sure. Hi Liz, thanks for the great comment and for visiting. I do appreciate it. I have never had gnocchi and they look delicious. I had no idea it wasn't that difficult to make gnocchis. Thanks for sharing these detailed instructions. The pictures help. I love gnocchi in restaurants, but have never tried making it myself. I assumed it took a special pasta maker or mold. 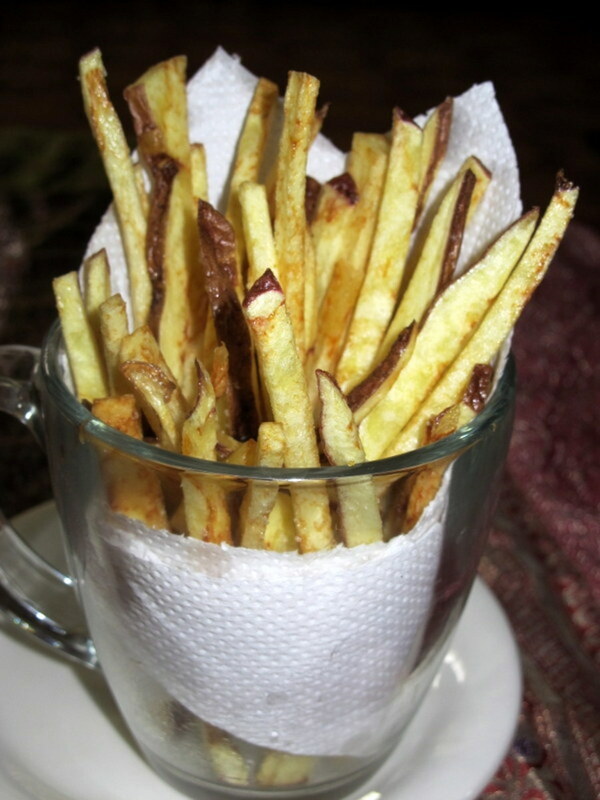 Thanks for sharing a recipe I can make easily at home. I'm so excited to try this! 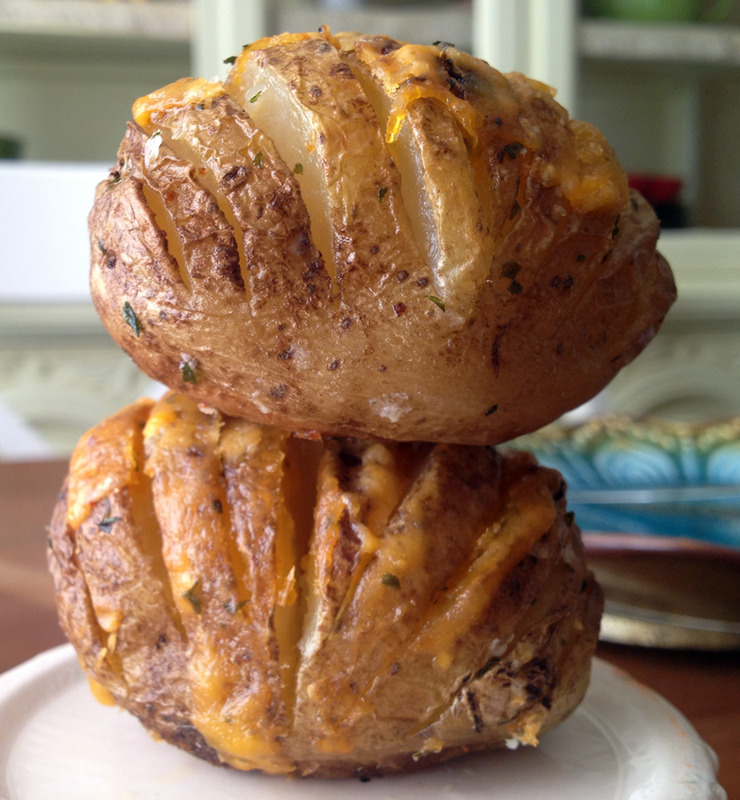 This is a great recipe with easy to follow and well-illustrated instructions. Wow, you can bet I will be making these! I have never had anything like it! I know I have to have it with meatballs and a butter sauce! 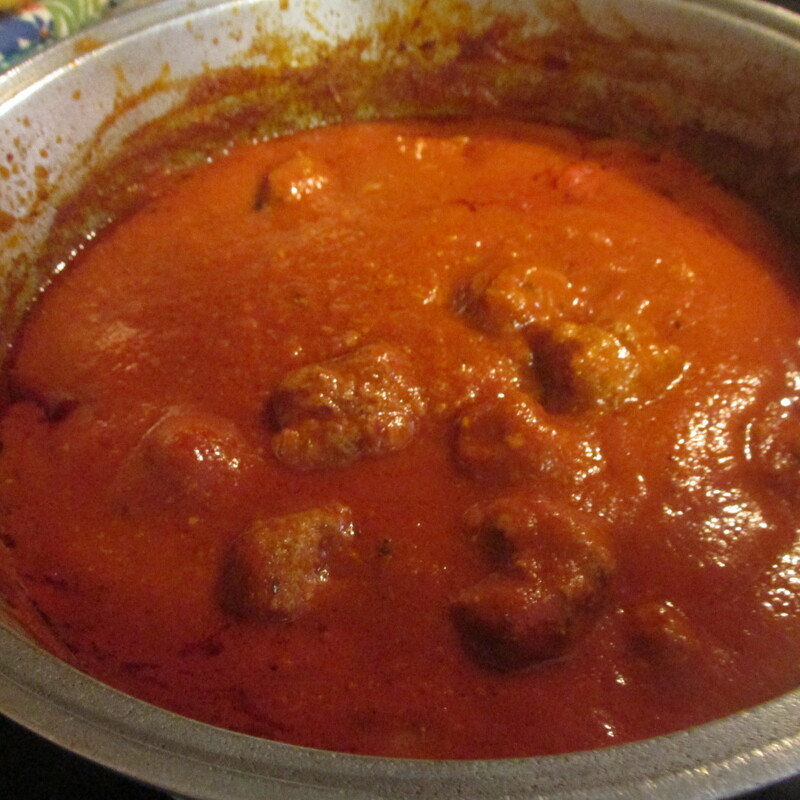 I just had meatballs for supper, or I would be having it tomorrow. It sure looks easy but I will try to follow your instructions as closely as I can. Will try not to overdo the flour. All purpose? It looks so good I wanna reach right in and take a bite! What a lucky family you have!